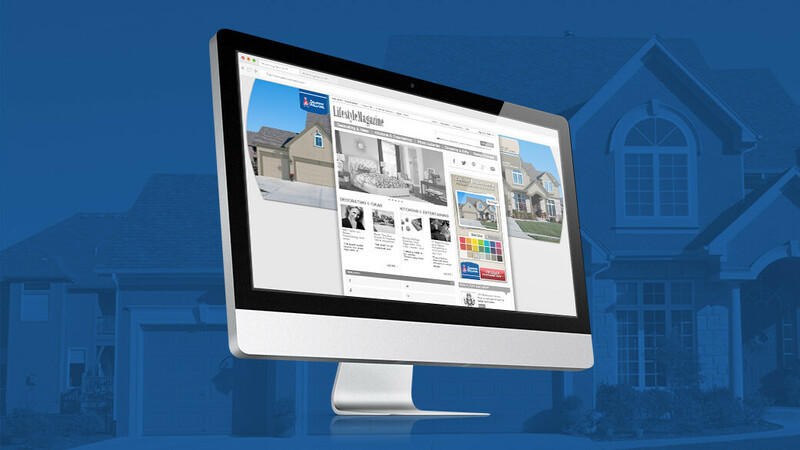 Sherwin-Williams Ad mocked up on a desktop, using the gutters of the website. Designed specifically to run on Hearst websites, this ad unit utilizes the gutters and banner placements for a full interactive experience. 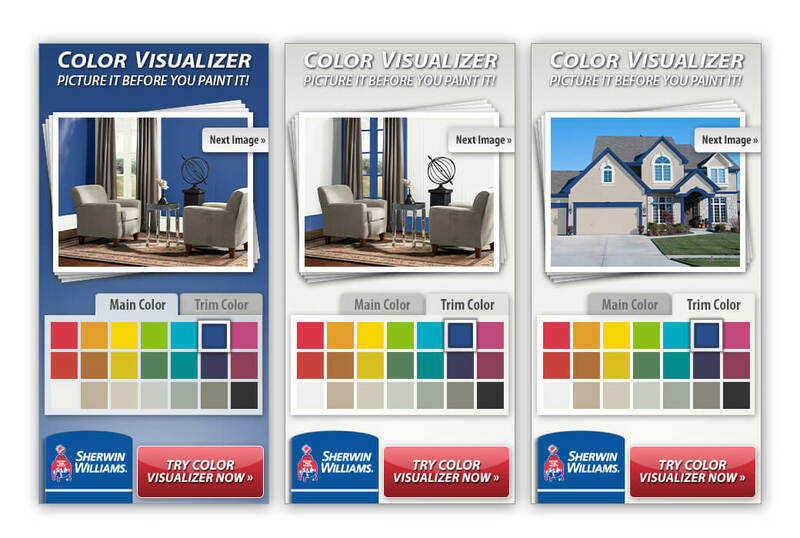 Sherwin-Williams wanted to promote their Color Visualizer tool, a desktop app that allows the user to test colors in their homes. 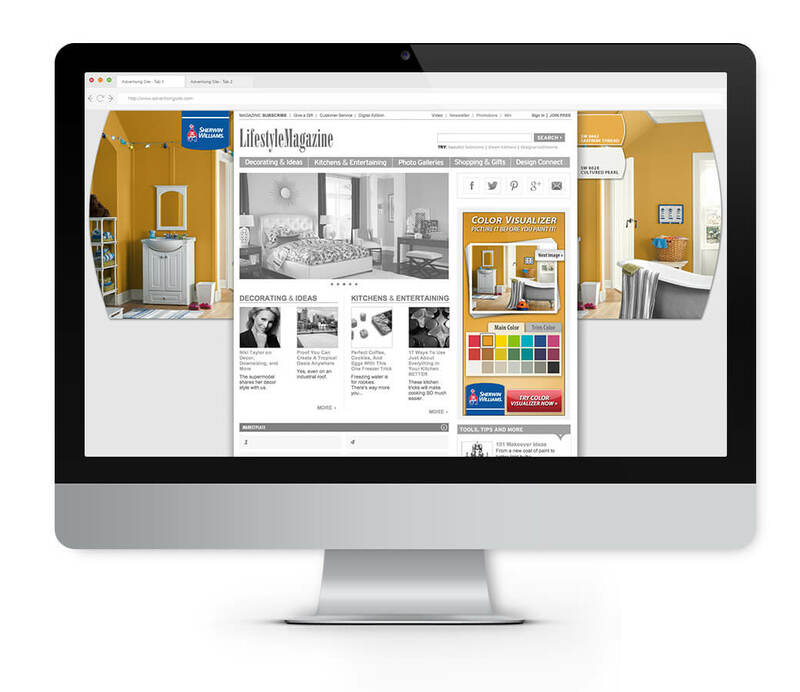 300×600 banner ads controlled the main color, trim color, and sample photo. The final unit gives the user a taste of the endless possibilities the tool offers. The gutters feature different house photos and the banner shows a small selection of colors that to be selected. While the gutters are automatically animating, the banner can be used to control the colors and the featured room on the website. Proposed reformatting into a smartphone takeover ad, calling the user to see options by swiping left or right. 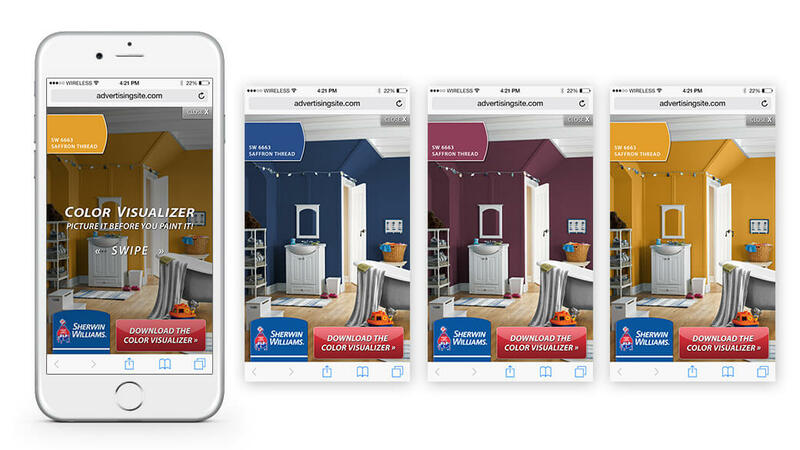 The carousel style of the ad’s animation could be translated into a smartphone takeover ad or Facebook carousel ad; both proposed executions would highlight individual colors while illustrating the options with the Color Visualizer tool. 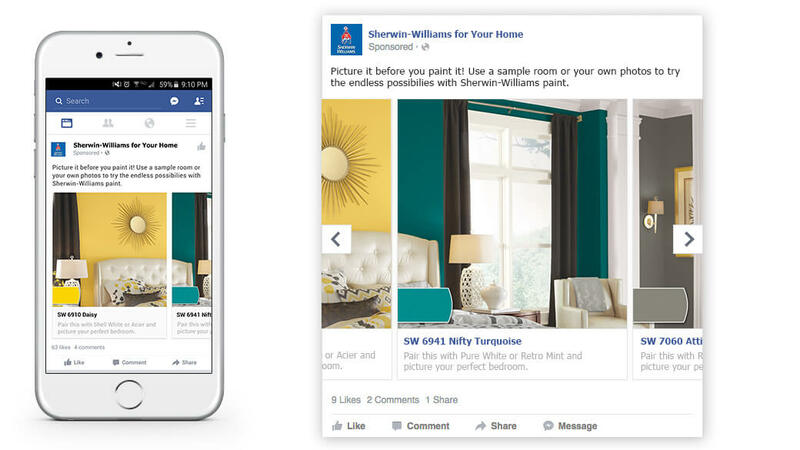 Proposed reformatting into a Facebook carousel ad, shown in a smart phone feed and a desktop feed.